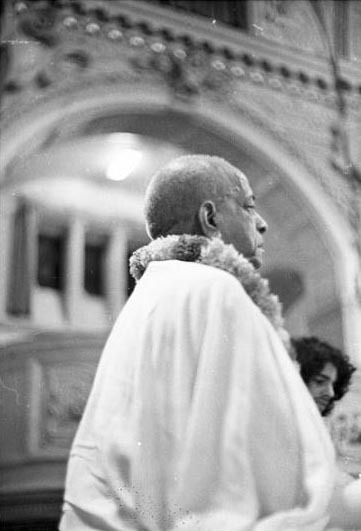 "In this material world everyone is envious of everyone else, but by vibrating or discussing the holy name of the Lord, one becomes nonenvious and devoid of material hankering. Because of our envy of the Supreme Personality of Godhead, we have become envious of all other living entities. When we are no longer envious of the Supreme Personality of Godhead, there will be real peace, unity and fraternity in human society. Without Narayana or sankirtana-yajna there cannot be peace in this material world."